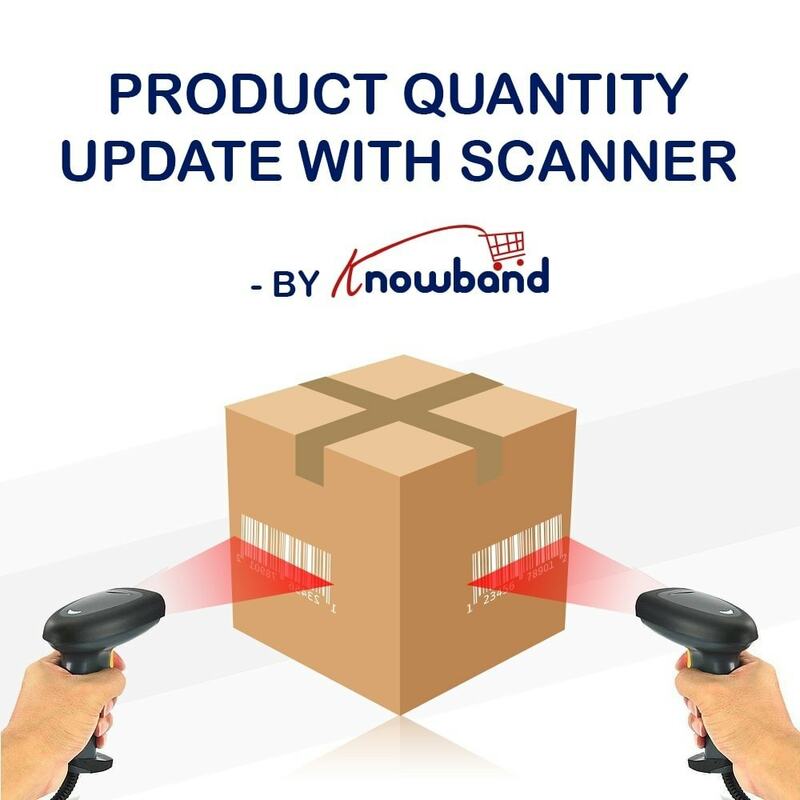 The Prestashop Product Quantity Update by Scanner module allows the admin to update the product quantity by just scanning a barcode. This Prestashop module can be used even without barcode scanner. Updating the product’s quantity on the store is a very hectic and irritating task, this Prestashop Quantity update module will help the admin to update the quantity of the product in a very efficient and quicker way by using a bar-code reader. 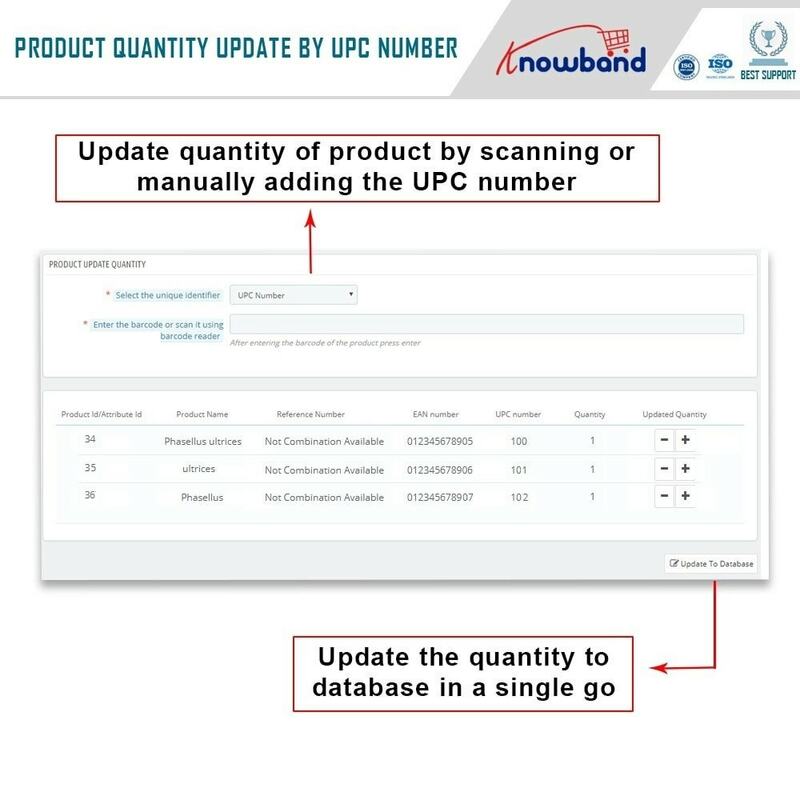 If the admin doesn't have a bar-code scanner, he can manually enter the product reference number or UPC or EAN number to update the product quantity. After making all the entries, he can then update all the quantities to the database at once with the single button click. 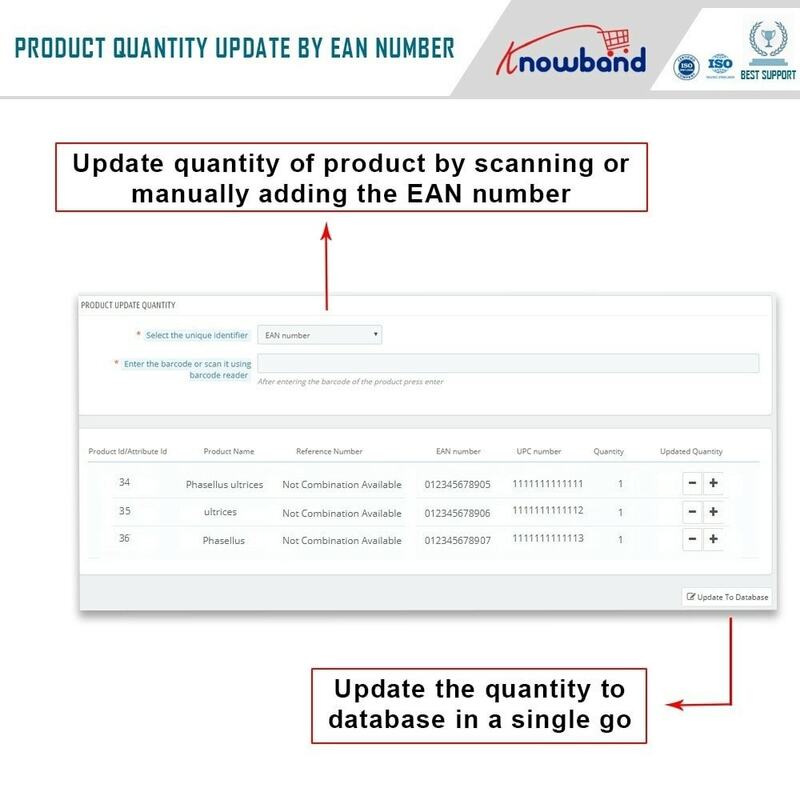 Upon scanning or making an entry, admin sees the information of the product on screen in real time. 2. It is nice if thousands of products can be updated in a singles stroke. 4. 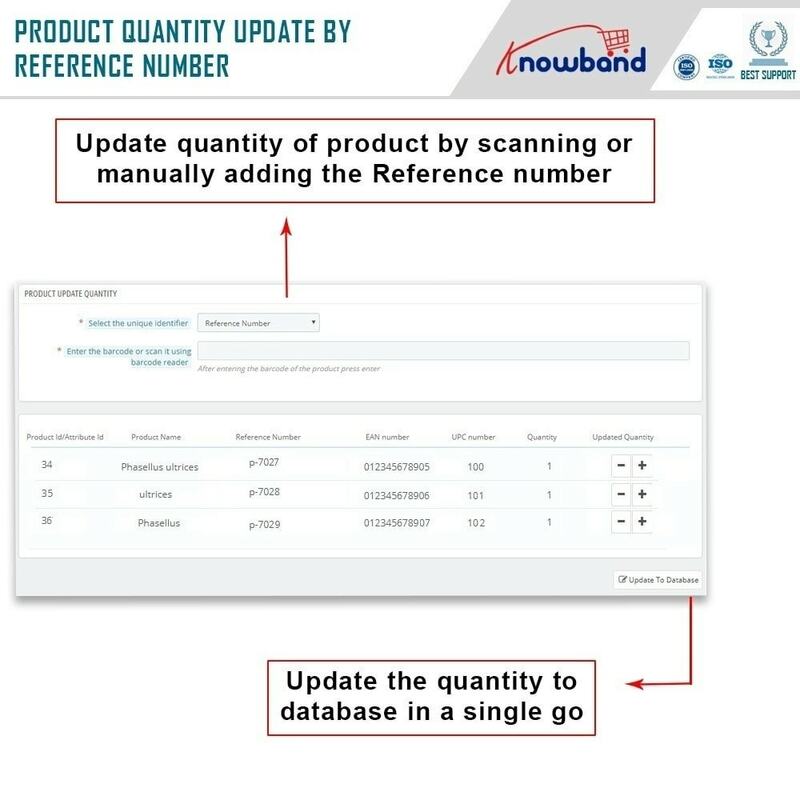 The Prestashop stock management addon provides an option to update the product quantity by scanning the barcode. 5. The Prestashop module offers an option to even update the same manually by entering the UPC, Reference number or EAN number respectively. 6. Faster processing of data entry as compared to the traditional update process. 7. The Prestashop product quantity management addon update all the entered data in one go to the database. 10. The Prestashop product quantity management addon is compatible with all the PrestaShop supported languages.